Digital payment is becoming a trend in India of late, and with easy and cheap access to internet and cheap 4G enabled smartphones, it's a good time to launch payment related apps. Search giant Google is not the one to miss such an opportunity and becomes the latest to join the bandwagon. 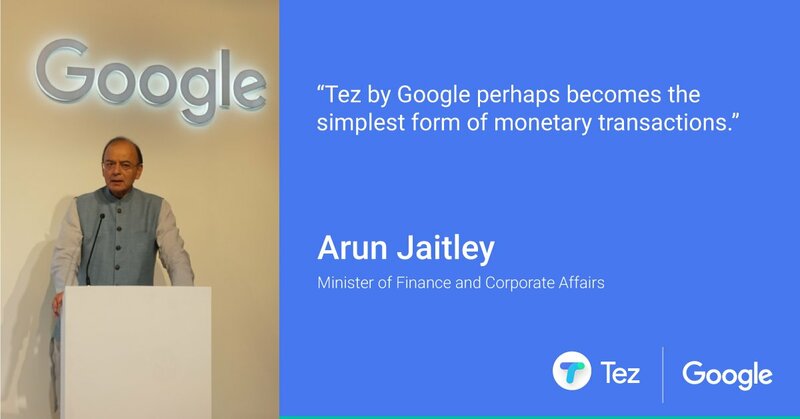 Google has launched its payment app called Tez in India, at an event in Delhi. The app can be used to send money to friends and family, instantly receive payment directly to the linked banked account, or even pay your bills at your nearby restaurant. The launch event was attended by Mr. Arun Jaitley, Finance Minister of India. 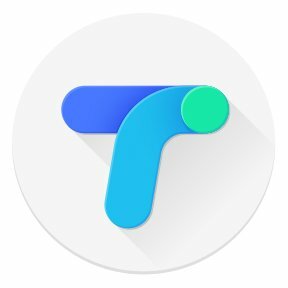 For those wondering, Tez is not a wallet app where you can add money and store it for later use. This is just a payment app, where the transactions take place directly from the linked bank accounts. 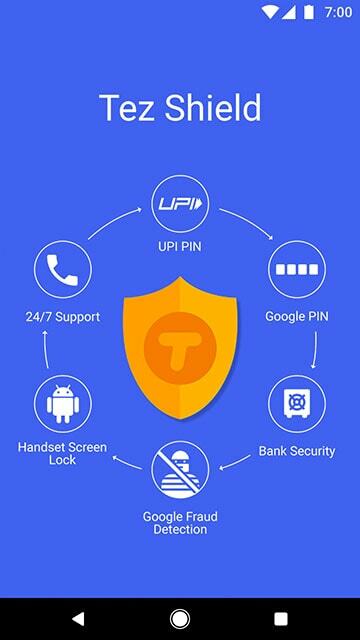 The app works with all the banks having UPI support, which should make compatibility easier as almost all major banks already have support for UPI. Tez also supports Airtel Payments Bank. There's also a Cash Mode, through which you can simply transfer money with nearby users without giving account details to the sender. A security feature called Tez Shield will be active all the time to detect fraud and prevent hacking. Tez also gives an option to enable in-app locking, which means you can either use the lock system of your phone or can enable a separate key in the app for security. Tez offers a wide range of language options with support for Indian languages like Hindi, Bengali, Gujarati, Kannada, Marathi, Tamil and Telugu, along with English. Support for more languages will be coming soon. The app will work only if you are in India, have an account in an Indian bank and an Indian mobile number. Another important thing to note is that it won't work with smartphones having unlocked bootloader, which is a good thing since the software may not be secure. As of now, only individual payments are supported but future updates will bring feature for adding debit/credit cards and also to pay or set reminders for recurring bills like DTH or telephone. Transaction amount should be at least Rs. 50. 1. Choose your preferred language. 2. Enter your mobile number, which is linked to the bank account you intend to link with Tez. An OTP will verify your phone number. 3. Choose a Google account, via which you will receive verification details, alerts and notifications. 5. Select your bank account number or link your account by giving basic details like IFSC code. Now you are ready to send/receive money via Tez. The app has been downloaded by many users even before the official launch took place in the national capital. The issues might be solved with future updates, but there have been a lot of complaints coming in from the users in the review section of the Play Store page. A lot of users are facing issues in linking the account, with error messages greeting them during OTP verification. Users are also reporting about very slow loading times. Such things will be addressed soon according to a reply by the developer team to a user. A twitter user with the handle @anivar also pointed out certain privacy issues in this app. First of all, being a recipient automatically means that you are allowing the other user to store your Aadhaar details on their smartphone for future payments. The app won't ask your permission separately, with the T&Cs clearly mentioning that being a recipient is equivalent to giving your consent. Another issue pointed out by the same twitter user is that Google may charge you for transactions, and the extra fee will be notified before final payment. The app also doesn't offer you the option to set VPA according to your choice, instead you'll be given a random VPA with random UPI handle such as @okicici or @hdfcbank, which is kind of strange since Google could have easily made an address for Tez.